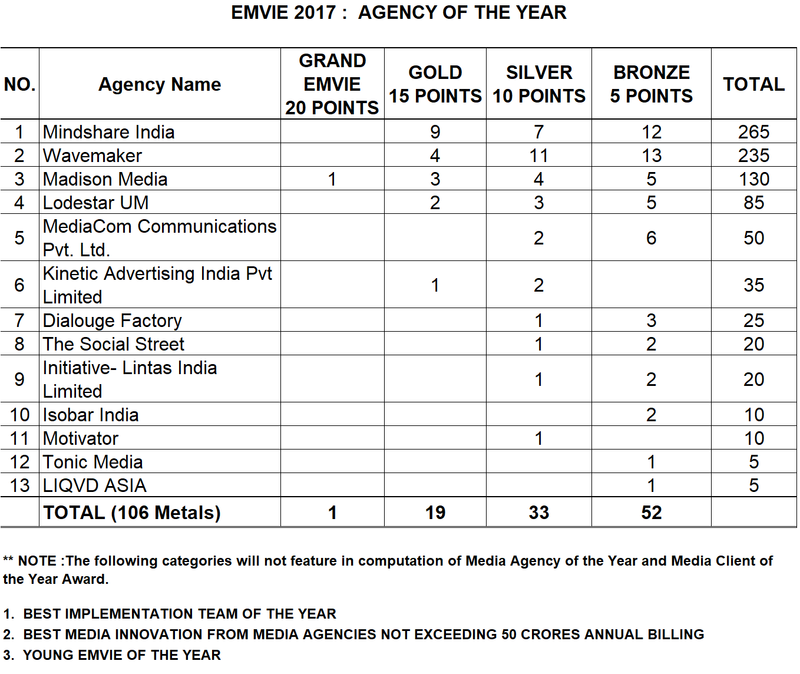 The 17thedition of the coveted Emvies 2017, presented by Colors celebrated ground breaking and high impact media campaigns by eminent media agencies. 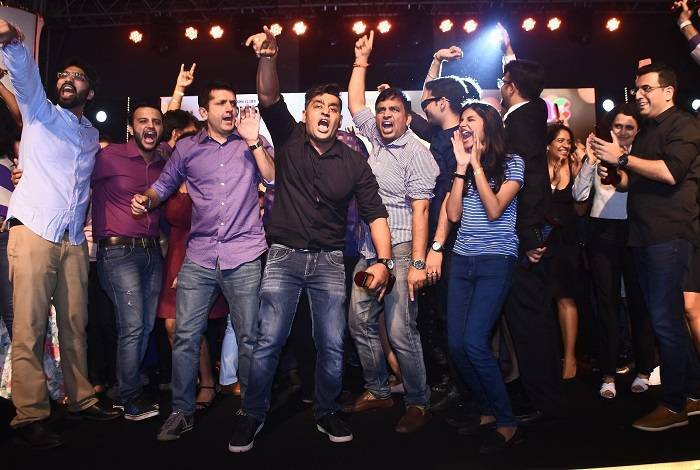 A chapter of The Advertising Club (TAC India), the awards were held in Mumbai and saw the best of industry stalwarts and visionaries come together to celebrate the industry’s success. 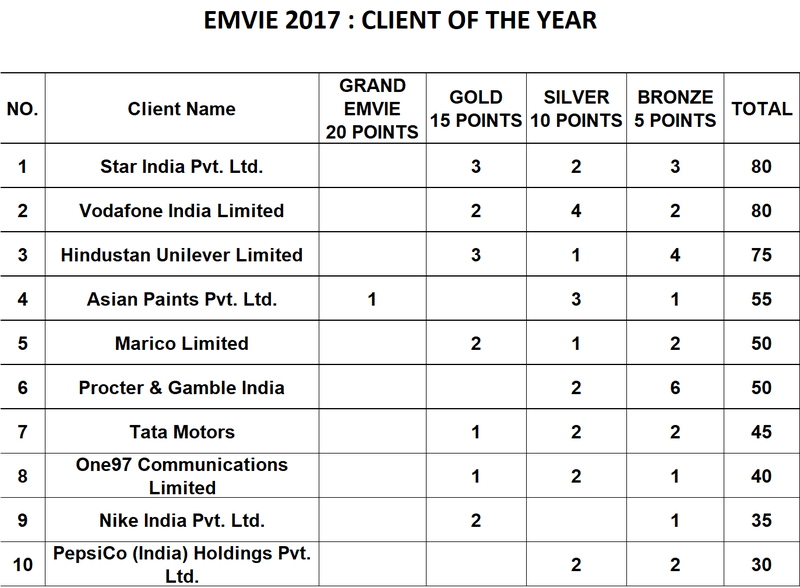 The Emvies 2017 championed the best of the best in creativity, effectiveness and marketing. Adjudged by a distinguished jury of around 211 industry leaders through intensive judging sessions across the country, the jury process is one of the broadest and inclusive. With over 816 entries, the awards have continued to grow in scale and strength, emerging as the gold standard amongst media awards recognising path-breaking brand campaigns and innovations.